The two distinguished inductees into the 2016 AEM Hall of Fame are Ray Hagie, founder of Hagie Manufacturing LLC, and Robert L. Vermeer, chair emeritus of Vermeer Corporation. AEM Hall of Fame inductees have been evaluated by an independent panel of industry experts on five criteria that are vital to the health of the off-road equipment manufacturing industry: 1) innovation, 2) industry contributions, 3) leadership, 4) corporate citizenship/social responsibility and 5) sustainability. Honourees are publicly announced and celebrated during special ceremonies at AEM’s annual conference and take their place of honour in AEM’s Hall of Fame; for more information on the AEM Hall of Fame and all its inductees, Nominations for the AEM Hall of Fame are open year-round. About the 2016 Hall of Fame Inductees Below are summaries for each 2016 honouree with some of the reasons they were selected for induction. Ray Hagie never intended on bringing to market the world’s first self-propelled sprayer in 1947. He was an entrepreneur and an innovator who spent his lifetime in pursuit of solving problems and finding a better way. In 1933, the Iowa State College graduate returned to his family farm and decided to experiment with hybrid seed corn. A drought hit and the hybrids withstood the challenge and so did Ray, leading to the opening of Hagie’s Hybrids seed corn plant in 1944. As the agricultural industry experienced a labour shortage during WWII, Ray’s entrepreneurial spirit struck again. He developed a self-propelled “personnel carrier” to help reduce the painstaking time and fatigue associated with detasseling corn. At the end of World War II, Dow released the pesticide/herbicide, known today as 2,4-D, for use in the control of broadleaf weeds. Ray envisioned a more efficient solution to apply this product, which led to him bringing to market the world’s first self-propelled sprayer and founding of Hagie Manufacturing in 1947. In years to follow, Hagie Manufacturing earned a reputation as an industry innovator by providing the market with new solutions for evolving farming needs. A few of Hagie Manufacturing’s industry firsts include the invention of the four-wheeled Hagie sprayer, front-mounted boom, and a high-clearance nitrogen toolbar. 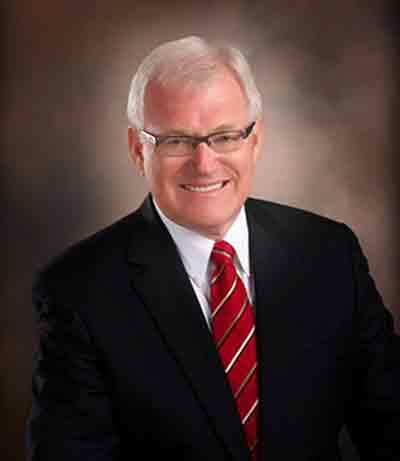 Committed to the community, the environment and the industry, Ray served in numerous leadership roles throughout his career including as an Iowa state representative and senator, chairman of the Iowa Manufacturers Association and on the Iowa State University Board of Governors. With an intense focus on the well-being of his team, Robert “Bob” Vermeer continued the legacy of bringing innovative processes to Vermeer Corporation that were integral in expanding the business to where it is today. 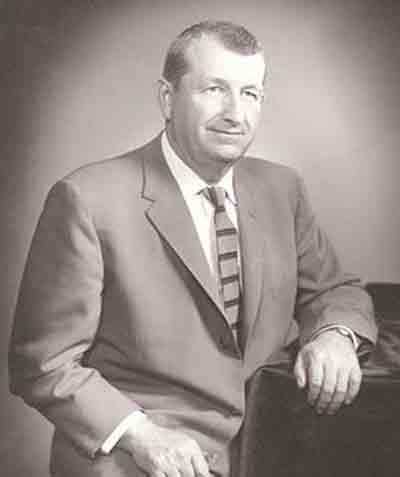 Under Bob’s leadership, sales at Vermeer grew nearly 13 times. He initiated a program to evaluate and coach dealers to higher levels of performance through improved customer relationships. He oversaw key advancements in finance that improved equipment availability and allowed dealers to stock inventory globally, ultimately growing business domestically and outside the United States. Bob also challenged his team members to expedite processes which resulted in huge productivity improvements. A shining example of compassion and service, Bob spearheaded numerous employee and community service programs including the Vermeer Chaplain Program, the Vermeer Charitable Foundation Scholarship Program and the Vermeer Spirit of Caring Award. To stay connected to the pulse of the Vermeer people, Bob emphasized an open-door policy expectation of his leadership. You will often find him walking the production floor with a sincere interest in every person he meets. Active within the industry and community, Bob has served as Chair of both the Association of Equipment Manufacturers and the Iowa Business Council. In addition, Bob has been a member of, and served as an officer for, several boards, including Central College Board of Trustees, Dordt College Board, Calvin Theological Seminary Board of Trustees and the Pella Chamber of Commerce. Bob started his career at Vermeer in 1974, later assumed CEO responsibilities, and served as Chairman of the Vermeer Board of Directors beginning in 1989. He has been involved in all aspects of the business and strategy in support of the long-term health and growth of Vermeer, and continues to devotedly serve his team, industry and community. The AEM Hall of Fame traces its roots to 1993 and development of the Construction Equipment Hall of Fame as a not-for-profit industry-wide initiative by Construction Equipment magazine. AEM served on its Board of Directors; the first Hall of Fame induction ceremony was held at CONEXPO 1993 and the last ceremony in 1999. The Hall lapsed in the early 2000s and AEM took over ownership and operation in 2008 creating the AEM Hall of Fame. About the Association of Equipment Manufacturers (AEM) - www.aem.org AEM is the North American-based international trade group providing innovative business development resources to advance the off-road equipment manufacturing industry in the global marketplace. AEM membership comprises more than 900 companies and more than 200 product lines in the agriculture, construction, forestry, mining and utility sectors worldwide. AEM is headquartered in Milwaukee, Wisconsin, with offices in the world capitals of Washington, D.C.; Ottawa, Canada; and Beijing, China.